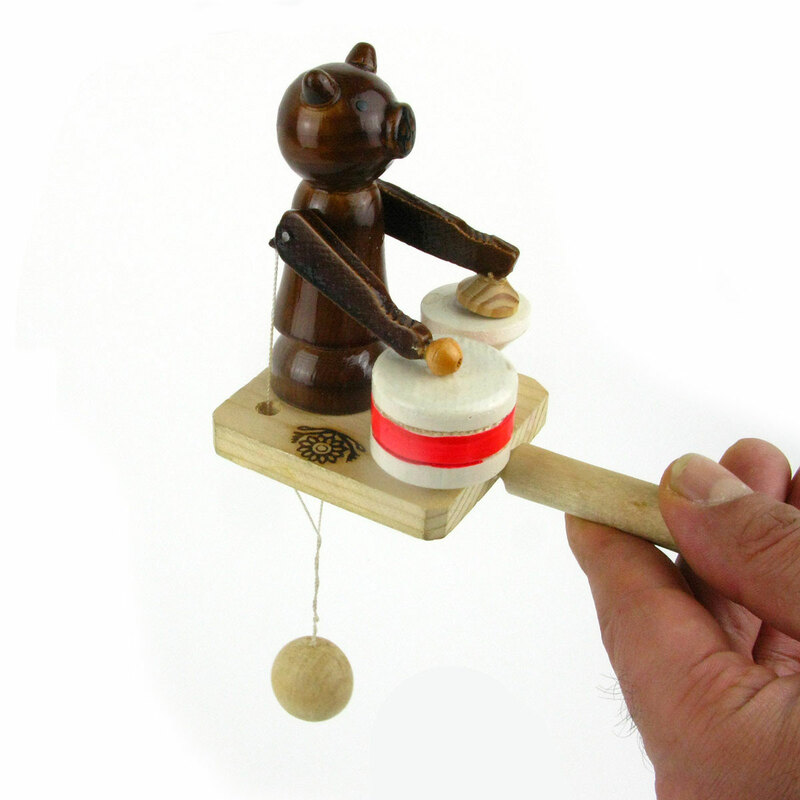 A handheld wooden toy of a bear playing the drums. A handheld wooden toy of a bear playing the drums. When you hold the toy by the handle and rotate the wooden ball that dangles below, this makes the bear beat the drums. A charming mechanical toy with folk flowers burnt into the wood.